Ernie Harwell was born in Washington, Georgia, on January 25, 1918. His father and uncle ran a furniture store that also served as a funeral parlor. As a child, Ernie loved baseball, playing the game as much as possible and listening to it on radio. The local druggist, knowing of young Ernie’s enthusiasm for the sport, encouraged him to broadcast an imaginary Atlanta Crackers game for patrons of the drugstore. Harwell’s attempts at play-by-play were greeted with gentle gales of laughter by drugstore patrons as young Ernie had a speech impediment that hindered his attempts to pronounce the letter “s.” His parents eventually paid for him to take elocution lessons. In 1934, the 16-year-old Harwell saw his first major league game while visiting a relative in Chicago. That same year, he also gained a job. Dissatisfied with the amount of space devoted to Atlanta baseball in The Sporting News, Harwell wrote the paper a letter offering to serve as their Atlanta correspondent. Hoping to seem older than his 16 years, Harwell signed his name “W. Earnest Harwell.” Impressed with samples of Harwell’s writing, the paper invited him to write regularly. Through his high school and college years, Harwell also worked part-time for the Atlanta Constitution sports department. In 1940, during his senior year at Emory University, he made his radio debut, landing a job as sports director at radio station WSB. Hosting a twice-nightly fifteen-minute sports program, Ernie was able to interview some of the biggest names in sports at the time including Ty Cobb, Ted Williams, Connie Mack, and heavyweight boxer Jack Dempsey. A year after graduating from Emory University in 1940, Harwell married Lulu Tankersley. Ernie and Lulu’s union would be a lasting one. They would remain married until Harwell's death nearly 69 years later. They raised four children together. In 1942, with World War II raging, Harwell enlisted with the Marines. During his time in the service, he was a correspondent for the Marine newspaper Leatherneck. He got his first taste of baseball play-by-play in 1943, while still serving in the Marines. Atlanta Crackers owner Earl Mann asked Ernie to do the Crackers broadcasts and he agreed, provided that he could donate his pay to the Red Cross. His stint as a Crackers announcer quickly came to a halt, though. Some civilian listeners felt it was wrong for a serviceman to broadcast baseball games. The Marines told Ernie he could no longer work Crackers games. Mann, however, impressed with Harwell’s style, told him that when he was discharged from the service, the Crackers’ announcing job was his. Discharged from the Marines in early 1946, Harwell approached Mann about the Crackers job. At this time, station WATL had obtained the rights to Crackers broadcasts. The station wanted to hire its sports director, Stan Raymond, as the Crackers’ voice. Mann, true to his word, insisted that Ernie be the Crackers’ radio voice. Pushing for Ernie’s hiring, Mann finally won out on the day before the 1946 season opener. Offered a better opportunity with the Giants in 1950, Ernie moved from Ebbets Field to the Polo Grounds, where he was teamed with announcer Russ Hodges. His second year with the Giants turned out to be what he called in his memoir, Tuned to Baseball, “the most thrilling season of my broadcasting career.” That season, the Giants and Dodgers tied for the pennant, leading to a three-game playoff series before the World Series. The coaxial cable having just been laid, the series was the first sporting event to be broadcast live from coast to coast. On the day of the third and deciding game, Ernie was assigned to cover the game nationally over NBC-TV. In Tuned to Baseball, he recalled “I would be on NBC-TV coast-to-coast on the biggest game in baseball history. Hodges, my partner, would have to settle for radio.” Ernie felt fortunate—there would be four radio announcers from various outlets that day, but he would be the only television announcer covering the game. Dropped by the Giants after the 1953 season, Harwell moved to Baltimore, becoming the first broadcaster for the new American League Orioles. Working in Baltimore, Ernie covered subpar baseball teams (the Orioles, formerly the St. Louis Browns, went 54–100 their first season) but had the opportunity to work with other great baseball voices, including Chuck Thompson and Herb Carneal. In 1957, Orioles (and former Tigers) third baseman George Kell spent some time with Harwell in the broadcast booth while recovering from a beaning. At Harwell’s invitation, Kell broadcast some innings of play-by-play. Kell’s broadcasting was well received and eventually led to his becoming a full-time baseball announcer with the Detroit Tigers. Kell and Harwell teamed up on Tigers radio and television, splitting play-by-play duties equally from 1960 to 1963. Ernie told Detroit News reporter Lynn Henning in 2002, “I’d do the first four-and-a-half innings on TV, and George would do the same thing on radio. Then we’d swap.” After Kell left radio in 1963, Harwell was teamed with former Tiger manager Bob Scheffing for a year before being assigned to radio only beginning in 1965. Harwell and Lane first worked together during 1967, a season marked by riots in Detroit and a near-miss of the AL flag for the Tigers. When the Tigers won the American League pennant the following season, Ernie covered the World Series on NBC radio with Pee Wee Reese. He was also asked to select the national anthem singers for the games played at Tiger Stadium. For one of the games, Harwell asked singer Jose Feliciano to sing the anthem. Feliciano’s nontraditional rendition was met with angry public reaction and even some calls for Harwell to lose his job. But Ernie stood by his selection of Feliciano and weathered the controversy. While still covering the Tigers every day during the regular season, Harwell was no stranger to network baseball audiences at All-Star or postseason time. Ernie broadcast the 1958 and 1961 All-Star games for NBC Radio. He covered many American League Championship Series on CBS Radio from the mid-1970s to the late 1980s as well as providing play-by-play for NBC radio during the 1963 and 1968 World Series. 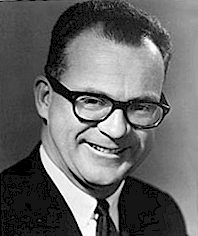 After the 1990 season, the 72-year-old Harwell tried to negotiate for three more seasons as a Tigers broadcaster. However, he was flatly told by Tigers president Bo Schembechler that radio station WJR and the Tigers wanted Harwell to broadcast for just one more year and then announce his retirement. The Tigers and WJR refused to allow Harwell to go on broadcasting beyond 1991. Schembechler countered that Harwell was asked to retire because the team and the radio station were afraid he would retire suddenly and they would be left scrambling to find a replacement. The December 20, 1990, edition of the Detroit News quoted Schembechler as saying “It’s our judgment that he’s coming down close to the end of his career. We didn’t want to have to go out and search.” However, Schembechler’s explanation rang hollow with fans. Reaction from the public was swift and negative—shock and anger. Former Tigers pitcher Denny McLain called the move “classless and gutless.” A volunteer at a Grosse Pointe hospital told The Sporting News that when the nuns working there heard of the Harwell firing “they said some words I didn’t think they knew.” It was a public relations disaster for the team and the radio station. After Michael Ilitch bought the Tigers in 1992, he asked Harwell to come back for one more season as a radio voice of the team. Working with Rick Rizzs and Bob Rathbun, Ernie provided play-by-play for the third, fourth, and fifth innings of Tigers broadcasts during the 1993 season. Originally planning to retire after that season, Harwell was persuaded to come back the following year on TV. Joining 1968 Tigers alumni Jim Price and Jim Northrup, Harwell became a member of the Tigers’ cable broadcasting crew on PASS (Pro Am Sports System, a pay-cable channel) in 1994. That season, he appeared in 25 PASS telecasts providing play-by-play for the first three and last three innings. Harwell continued covering Tigers games for PASS (and eventually for over-the-air station WKBD) through the 1998 season. He returned to WJR-AM for the final season at Tiger Stadium in 1999 and provided continuity in the narration of Tiger games as the team moved to Comerica Park. In 2002, at age 84, Harwell announced he was retiring. The season became one long goodbye. In each city that the Tigers visited Harwell was honored. In most visiting stadiums, he was asked to throw out the ceremonial first pitch. In Cleveland, the visitors’ broadcast booth was renamed in his honor. Comerica Park’s press box was renamed the Ernie Harwell Media Center. The respect and appreciation shown to Harwell by the fans and the teams were reminiscent of the outpouring from the fans when it seemed that 1991 would be the final year of his career. The only difference was that this time Ernie was leaving of his own accord. In 2009 Harwell announced that he was battling cancer and had just months to live. He died May 4, 2010, at at his home in Novi, Michigan, with his wife Lulu at his side. He was 92. An updated version of this biography appeared in "The Team That Time Won't Forget: The 1951 New York Giants" (SABR, 2015), edited by Bill Nowlin and C. Paul Rogers III. It originally appeared in "Sock It To 'Em Tigers: The Incredible Story of the 1968 Detroit Tigers" (Maple Street Press, 2008), edited by Mark Pattison and David Raglin. Carneal, Herb, and Stew Thornley. Hi Everybody! Minneapolis: Nodin Press. 1996. Harwell, Ernie. Life After Baseball. Detroit: Detroit Free Press. 2004. Harwell, Ernie. Tuned to Baseball. South Bend, Ind. : Diamond Communications. 1985. Keegan, Tom. Ernie Harwell: My Sixty Years in Baseball. Chicago: Triumph Books. 2002. Kell, George, and Dan Ewald. Hello Everybody, I’m George Kell. Champaign, Ill.: Sports Publishing. 1998. Patterson, Ted. The Golden Voices of Football. Champaign, Ill.: Sports Publishing. 2004. Crowe, Steve. “Harwell succeeds Kell as Tigers’ TV Voice.” Detroit Free Press, March 8, 1997, p. 1A. Dye, Dave. “Say It Isn’t So, Bo: Tigers did Harwell wrong.” The Sporting News, December 31, 1990, p. 3. Dye, Dave, and Bill Halls. “Harwell joins Price, Northrup on PASS.” The Detroit News, April 19, 1994, p. 4C. Green, Jerry. “Tigers, Ernie Harwell call it quits.” Detroit News, December 19, 1990, pp. 1A and 4A. “Harwell back in a familiar chair.” Detroit News, March 4, 1993, pp. 1C and 6C. “Harwell to call two games.” Grand Rapids Press, May 22, 2007, p. D1. Henning, Lynn. “Ernie Harwell Signs Off, Detroit will miss man, voice. Retiring Tigers announcer regards fans, city fondly.” The Detroit News, September 26, 2002, p. 1F. “Insiders Say.” The Sporting News, December 31, 1990, p. 3. Lapointe, Joe. “Ernie and Paul: Together 15 years and still in tune.” Detroit Free Press, April 15, 1987, pp. 9E and 11E. Parker, Rob. “Harwell leaves booth with class.” The Detroit News, September 30, 2002, p. 1D. Reidenbaugh, Lowell. “Reichler, Richman Saluted as Winners of Spink Award.” The Sporting News, August 15, 1981, p. 30. Spadafore, Jim. “Harwell makes return in visitors’ radio booth.” Detroit News, May 5, 1992, p. 5C. Spoelstra, Watson. “Harwell-Kell Combo Will Air Tiger Tilts.” The Sporting News, October 21, 1959, p. 18. Spoelstra, Watson. “Kell Will Return to Motor City Mike.” The Sporting News, February 13, 1965, p. 9. VanOchten, Brian. “Sound familiar? Ernie’s back at mike tonight. Harwell will join ESPN, radio announcing teams for guest appearance.” Grand Rapids Press, October 6, 2006, p. E2. Bohn, Matt. Phone interview with Ernie Harwell, June 29, 2005. Bohn, Matt. Phone interview with Ray Lane, June 28, 2007.